Vic has always lived an active lifestyle and fitness has always played a big part of her life. Being a gymnast for 15 years and competing at the Nationals in her home country of France has shaped her into who she is today. She has also played competitive tennis and has skied/snowboarded her entire life. From there Vic had a career as a firewoman in France for 3 years which further enforced her life principles. 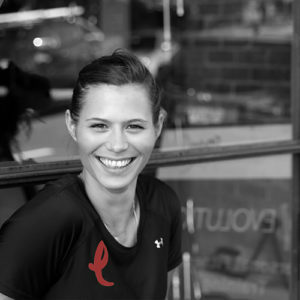 Coming to Australia 6 years ago, she completed a Certificate III & IV in Fitness and has built a successful career as a Personal Trainer in Australia. Highly motivated and enthusiastic about providing her clients with the best advice towards building a strong fitness routine around their needs, achievable goal setting is definitely one of Vics main priorities. Couple this with time efficient & rewarding workouts and she will leave you questioning how soon can you train with her next!